Joyous News! 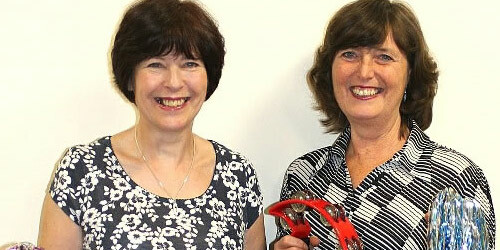 – Two truly lovely ladies Barb & Sue are now fully trained and qualified members of the ‘Music for Health’ team. MFH knows that they will prove to be valuable assets to the team, and they are welcomed wholeheartedly. Friends since University, we share a common interest in singing and performing. We have each taught in Primary Schools across the Wirral until our recent early retirement. We are also active members in our respective churches. Both of us have had experience of close relatives entering Residential/Nursing homes. Because of this we recognise the importance of stimulating activities, in particular, those involving music. We are delighted to be part of the Music for Health team, taking our enthusiasm and love of music across Wirral. Please contact Sue or Barb on – 0151 648 1374 or 07472 868828 to book your free hour long introductory session without obligation. « On The Scrap Heap? – Never!